The federal government is about a week away from shutting down, though only about 41 percent of civilians report to agencies at risk of having their doors shuttered. Congress has already allocated a majority of full-year spending, with President Trump signing legislation that accounts for 75 percent of annual discretionary appropriations. 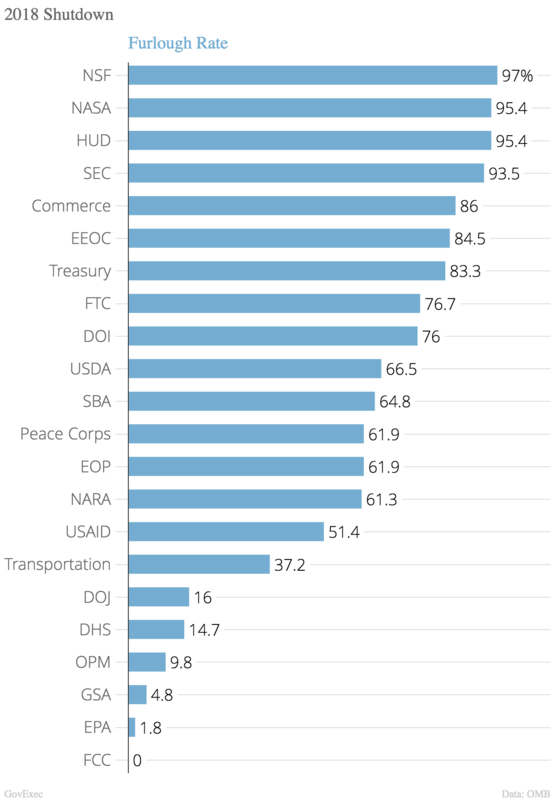 Those bills set line-by-line spending for the departments of Defense, Labor, Health and Human Services, Education, Energy and Veterans Affairs, among other agencies. The departments of Transportation, Housing and Urban Development, State, Interior, Agriculture, Treasury, Commerce, Homeland Security and Justice, as well as other independent agencies, are currently operating under a continuing resolution set to expire Dec. 21. Those agencies will be forced to shut down after that date if Congress fails to act. About 850,000 employees work at those agencies, and about 345,000, or 41 percent, of them would be subject to furloughs under a partial shutdown, according to the most recent data federal agencies have made available on their contingency planning. An update to Office of Management and Budget guidance during the Obama administration required agencies to refresh their shutdown plans at least every two years starting in 2015. The plans vary significantly from agency to agency, with some enabling nearly their entire workforces to continue working because of the funding stream that pays their salaries or because their jobs are necessary to protect life and property. Other agencies, such as NASA or the Housing and Urban Development Department, would send home about 95 percent of their employees. Those working during a shutdown must go without pay until the government reopens, while furloughed workers are not guaranteed back pay at all. Historically, Congress has always taken action to provide those lost wages. Some agencies have changed their plans drastically, following 2017 guidance from OMB Director Mick Mulvaney that instructed them to use “carry-forward funding” and “transfer authority” as much as possible to mitigate the impact of an appropriations lapse. Last year, for example, the Environmental Protection Agency planned to furlough 95 percent of its employees during a shutdown. This year, it will use unexpired multi-year and no-year funding to keep nearly its entire workforce on the job, sending home only a portion of the inspector general’s office. Some agencies, such as the State Department, have updated their plans but have not spelled out exactly who would be furloughed. 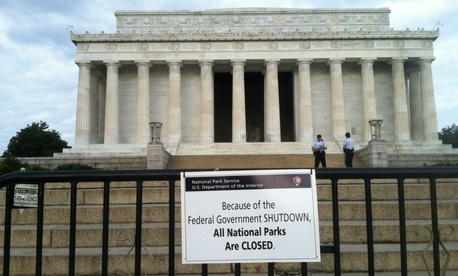 During the 16-day shutdown in 2013, State sent home just a few hundred of its 70,000 employees, but warned it would have had to add thousands to that list if the government had remained closed much longer.